The second most common type of streetcar in Muni's historic fleet is an American classic with an Italian accent. This type of car is named for Cleveland street railway commissioner Peter Witt, who designed it for his Ohio city around 1915. The concept was to speed loading by putting the conductor in the middle of the car, letting crowds board through the front door and paying as they passed the conductor. "Peter Witts" ran in 15 U.S. cities, including New York, Chicago, Dallas, Philadelphia, Detroit, and Los Angeles (though not, in that era, in San Francisco). The design was also exported to world cities such as Toronto, Mexico City, Madrid, and three Italian cities, Naples, Turin, and Milan. Milan has the longest-serving Peter Witts in the world, building some 500 starting in 1928, some of which still operate today. The first Peter Witts in Milan were painted an attractive yellow and white, as modeled on Muni trams Nos. 1807 and 1811. In the early 1930s, the livery was changed to a two-tone green worn in San Francisco by Nos. 1818 and 1888. In the 1970s, the Milan tram fleet was repainted a solid orange, the livery worn by the remainder of Muni's Milan trams. The "Peter Witt" trams long ago stopped using conductors, but Milan, like Muni, has painted some of their orange trams back into their historic liveries. In 1984, one Milan tram (No, 1834) came to San Francisco for the summer Trolley Festivals that led to construction of the F-line. It proved so reliable that Muni obtained ten more in 1998 to meet the huge F-line rider demand. Over the years, Muni has systematically upgraded these trams with modern GPS navigation and other improvements, but they still retain their distinctive Italian flavor. Muni has renumbered most of its ex-Milan trams to avoid potential numbering conflicts with its light rail vehicle fleet. The renumbered trams, with their original Milan number in parentheses, are: 1807 (1507), 1811 (1911), 1856 (1556), 1888 (1588), 1893 (1793), and 1895 (1795). The San Francisco cable car system is the world's last permanently operational manually operated cable car system, in the US sense of a tramway whose cars are pulled along by cables embedded in the street. 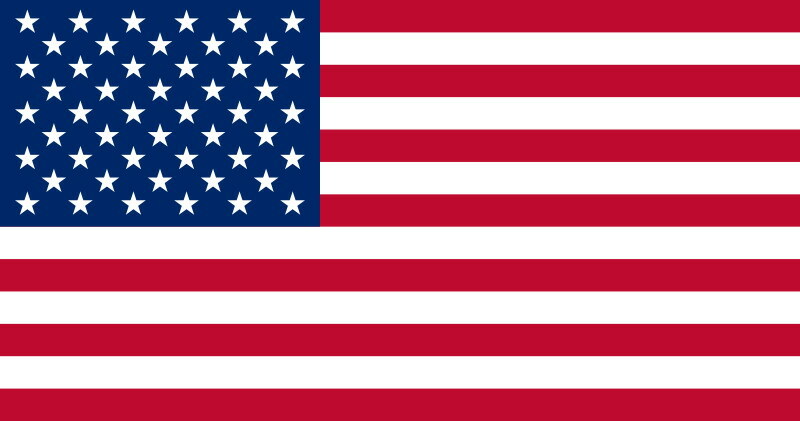 It is an icon of San Francisco, California. The cable car system forms part of the intermodal urban transport network operated by the San Francisco Municipal Railway, or "Muni" as it is better known. Cable cars operate on two routes from downtown near Union Square to Fisherman's Wharf, and a third route along California Street. While the cable cars are used to a certain extent by commuters, their small service area and premium fares for single rides make them more of a tourist attraction. They are among the most significant tourist sites in the city, along with Alcatraz Island and Fisherman's Wharf. The very first successful cable-operated street railway was the Clay Street Hill Railroad, which opened on August 2, 1873. The promoter of the line was Andrew Smith Hallidie, and the engineer was William Eppelsheimer. The line involved the use of grip cars, which carried the grip that engaged with the cable, towing trailer cars; the design was the first to use grips. The term "grip" became synonymous with the operator. The line started regular service on September 1, 1873, and it was such a success that it became the model for other cable car transit systems in San Francisco and elsewhere. It was a financial success, and Hallidie's patents were enforced on other cable car promoters, making him a rich man. Accounts differ as to exactly how involved Hallidie was in the inception of the line, and to the exact date it first ran. See the article Clay Street Hill Railroad for more information on this subject. The next cable car line to open was the Sutter Street Railway, which converted from horse operation in 1877. This line introduced the side grip, and lever operation, both designed by Henry Casebolt and his assistant Asa Hovey, and patented by Henry Casebolt. This idea was brought about because Casebolt didn't want to pay Hallidie royalties of $50K a year for use of his patent. The side grip allowed cable cars to cross at intersections, and is still widely used to this day. In 1878 Leland Stanford opened his California Street Cable Railroad (Cal Cable). This company's first line was on California Street and is the oldest cable car line still in operation. In 1880, the Geary Street, Park & Ocean Railway began operation. The Presidio & Ferries Railway followed two years later, and was the first cable company to include curves on its routes. The curves were let-go curves, where the car drops the cable and coasts around the curve on its own momentum. In 1883 the Market Street Cable Railway opened its first line. This company was controlled by the Southern Pacific Railroad and was to grow to become San Francisco's largest cable car operator. At its peak, it operated five lines all of which converged into Market Street to a common terminus at the Ferry Building; during rush hours a cable car left that terminus every 15 seconds. In 1888, the Ferries and Cliff House Railway opened its initial two-line system. The Powell-Mason line is still operated on exactly the same route today; their other route was the Washington-Jackson line, stretches of which are used by today's Powell-Hyde line. The Ferries & Cliff House Railway was also responsible for the building of a carbarn and powerhouse at Washington and Mason, and this site is still in use today. In the same year, it also purchased the original Clay Street Hill Railway, which it incorporated into a new Sacramento-Clay line in 1892. In 1889, the Omnibus Railroad & Cable Company became the last new cable car operator in San Francisco. The following year the California Street Cable Railroad opened two new lines, these being the last entirely new cable car lines built in the city. One of them was the O'Farrell, Jones and Hyde line, the Hyde section of which still remains in operation as part of today's Powell-Hyde line. The first electric streetcars in San Francisco began operation in 1892 under the auspices of the San Francisco and San Mateo Electric Railway. At that time, it was estimated that it cost twice as much to build and six times as much to operate a line with cable cars as with electric streetcars. Not surprisingly, San Francisco's cable car lines soon came under pressure. By the beginning of 1906, many of San Francisco's remaining cable cars were under the control of the United Railroads of San Francisco (URR), although Cal Cable and the Geary Street Company remained independent. URR was pressing to convert many of its cable lines to overhead electric traction, but this was being resisted by opponents who objected to what they saw as ugly overhead lines on the major thoroughfares of the city center. But at 5:12 am on April 18, 1906, those objections were swept away as the great 1906 San Francisco earthquake struck. The quake and resulting fire destroyed the power houses and car barns of both the Cal Cable and the URR's Powell Street lines, together with the 117 cable cars stored within them. The subsequent race to rebuild the city allowed the URR to replace most of its cable car lines with electric streetcar lines. At the same time the independent Geary Street line was replaced by a municipally owned electric streetcar line, the first line of the San Francisco Municipal Railway. By 1912, only eight cable car lines remained, all with steep gradients impassable to electric streetcars. In the 1920s and 1930s these lines came under pressure from the much improved buses of the era, which could now climb steeper hills than the electric streetcar. By 1944, the only cable cars remaining were the two Powell Street lines—by then in municipal ownership, as part of SF Municipal Railway (Muni)—and the three lines owned by the still-independent Cal Cable. In 1947, Mayor Roger Lapham proposed the closure of the two municipally owned lines. In response, a joint meeting of 27 women's civic groups, led by Friedel Klussmann, formed the Citizens' Committee to Save the Cable Cars. In a famous battle of wills, the citizens' committee eventually forced a referendum on an amendment to the city charter, compelling the city to continue operating the Powell Street lines. This passed overwhelmingly, by 166,989 votes to 51,457. In 1951, the three Cal Cable lines were shut down when the company was unable to afford insurance. The city purchased and reopened the lines in 1952, but the amendment to the city charter did not protect them, and the city proceeded with plans to replace them with buses. Again Klussmann came to the rescue, but with less success this time. 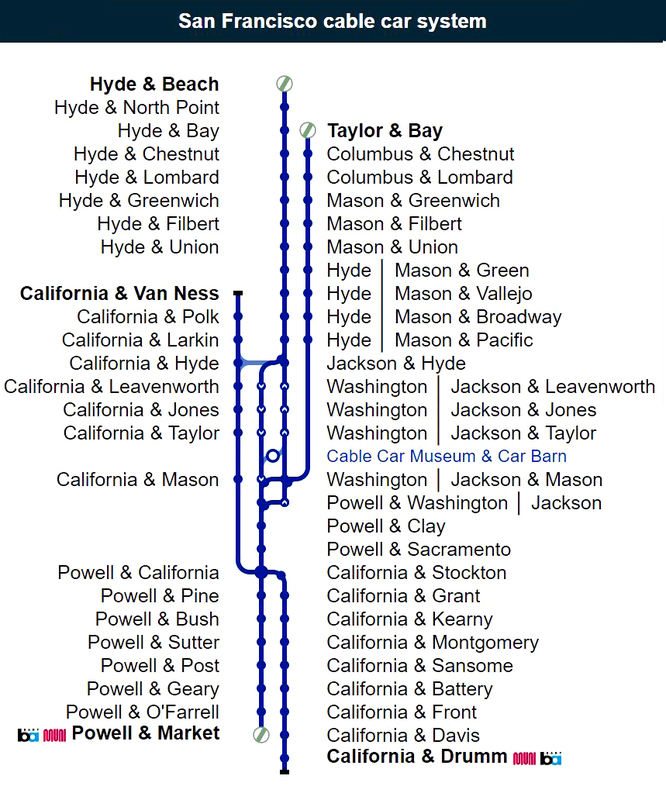 The result was a compromise: a protected system made up of the California Street line from Cal Cable, the Powell-Mason line already in municipal ownership, and a third hybrid line formed by grafting the Hyde Street section of Cal Cable's O'Farrell, Jones & Hyde line onto a truncated Powell-Washington-Jackson line, now known as the Powell-Hyde line. This solution required some rebuilding to convert the Hyde Street trackage and terminus to operation by the single-ended cars of the Powell line, and also to allow the whole system to be operated from a single car barn and power house. Much of the infrastructure remained unchanged from the time of the earthquake. By 1979, the cable car system had become unsafe, and it needed to be closed for 7 months for urgently needed repairs. A subsequent engineering evaluation concluded that it needed comprehensive rebuilding at a cost of $60 million. Mayor Dianne Feinstein took charge of the effort, and helped win federal funding for the bulk of the rebuilding job. In 1982 the cable car system was closed again for a complete rebuild. This involved the complete replacement of 69 city blocks' worth of tracks and cable channels, the demolition and rebuilding of the car barn and powerhouse, new propulsion equipment, and the repair or rebuild of 37 cable cars. The system finally reopened on June 21, 1984, just in time to benefit from the publicity that accompanied San Francisco's hosting of that year's Democratic National Convention. Since 1984, Muni has continued to upgrade the system. Work has included rebuilding of another historical car, the building of 9 brand new replacement cars, the building of a new terminal and turntable at the Hyde and Beach terminus, and a new turntable at the Powell and Market terminus. The cable cars are principally used by tourists rather than commuters. The system serves an area of the city that is already served by a large number of buses and trolleybuses. The two lines on Powell Street (Powell-Hyde and Powell-Mason) both serve only residential and tourist/shopping districts (Union Square, Chinatown, North Beach, Nob Hill, Aquatic Park and Fisherman's Wharf), with the "downtown" end of both lines a substantial distance from the Financial District. The California Street Line is used more by commuters, due to its terminus in the Financial District. In mid-April 2007, the San Francisco auditor's office reported that the city was not receiving the expected revenue from cable cars, with an estimated 40% of cable car riders riding for free. Muni's management disputed this figure, and pointed out that safe operation, rather than revenue collection, is the primary duty of conductors. The current cable car network consists of three lines. Like other Muni routes, they have line numbers, but are generally referred to by the street name. The single-ended cable cars require manually-operated turntables to rotate the car around, so that it faces in the right direction. The city of San Francisco is home to three such turntables, or turn-arounds, outdoors (at Market & Powell, Taylor & Bay, and Hyde & Beach); with a fourth one being located inside the car barn. * The Powell-Hyde (Line 60) line runs north and steeply uphill from a terminal at Powell and Market Streets, before crossing the California Street line at the crest of the hill. Downhill from this crest it turns left and uphill again along Jackson Street (as this is one-way, cable cars in the opposite direction use the parallel Washington Street), to a crest at Hyde Street. Here it turns right and steeply downhill along Hyde Street to the Hyde and Beach terminal, which is adjacent to the waterfront at the San Francisco Maritime Museum. Man-powered turntables turn the cable cars around at the two ends. This line is used greatly by tourists and often has long queues. * The Powell-Mason (Line 59) line shares the tracks of the Powell-Hyde line as far as Mason Street, where it crosses Washington and Jackson Streets. Here the line turns right and downhill along Mason Street, briefly half left along Columbus Avenue, and then down Taylor Street to a terminal at Taylor and Bay. This terminus is near to but two blocks back from the waterfront at Fisherman's Wharf. There are man-powered turntables at each end to reverse the cars like the Powell-Hyde. This line is also used greatly by tourists, but also some commuters. * The California Street (Line 61) line runs due west on California Street from a terminal at California and Market Streets, close to the junction of Market with the waterfront Embarcadero. The line once ran a much longer distance from Presidio Avenue to Market Street but was reduced in the 1950s. Ideas to restore the whole line have been proposed but not acted on. The whole of the line lies on California Street, running at first uphill to the summit of Nob Hill, then more gently downhill to a terminus at Van Ness Avenue. This line is used to a greater extent by commuters, with majority of passengers on weekdays being commuters. There is also a set of non-revenue tracks from the California Street line along Hyde Street to join the Powell-Hyde line at Hyde and Washington. This connection exists to enable California Street cars to reach the car barn. There are turntables at the three terminals served by the Powell-Hyde and Powell-Mason lines, and these two lines are served by a common fleet of single-ended cable cars. Cable cars on California Street, however, have cabs at both ends, and so the terminals are single-track stubs and the operator only switches ends. The cable car system connects at both its terminals on Market Street with the F Market heritage streetcar line. The Taylor and Bay terminal, and the Hyde and Beach terminal, are both short walks from the F Market line. As of July 1, 2011, riding a cable car costs $6 for a single ride, except for seniors riding before 7am or after 9pm when the senior fare is $3. Cable car rides are included in monthly Muni passes, as well as 1-day, 3-day, 7-day passes, and the CityPASS program. Transfers or fare receipts are not accepted. * Single-ended cars serve the Powell-Hyde and Powell-Mason lines. These cars have an open-sided front section, with outward-facing seats flanking the gripman and his collection of levers that actuate the grip and various brakes. The rear half of the car is enclosed, with seats facing inward and entrances at each end and the car has a small platform at the rear. These cars are 27 ft 6 in (8.6 m) long and 8 ft (2.4 m) wide and weigh 15,500 pounds (7,000 kg). They have a passenger capacity of 60, 29 of them seated. These cars must be rotated to reverse direction at each end of the line, an operation performed on turntables. Most of these cars were built or rebuilt in the 1990s at Muni's Woods Carpentry Division. * Double-ended cars serve the California Street line. These cars are somewhat longer, having open-sided grip sections at both ends and an enclosed section in the middle. These cars are 30 ft 3 in (9.2 m) long and 8 ft (2.4 m) wide and weigh 16,800 pounds (7,620 kg). They can hold 68 passengers, 34 of them seated. These do not need to be rotated to change direction and so this line has no turntables. Some of these cars are genuine O'Farrell, Jones, and Hyde Street cable cars, while some of these cable cars were built in 1998 at Muni's Woods Division/Woods Carpentry Division. Both types of car ride on a pair of four-wheel trucks, to fit the track gauge of 3 ft 6 in (1,067 mm). The term California Street car, as in a car running on the California Street line, should not be confused with the term California Car. The latter term applies to all the cable cars currently operating in San Francisco, and is a historical term distinguishing this style of car from an earlier style where the open grip section and the enclosed section were separate four-wheel cars (known as the grip car and trailer). There are 28 single ended cars in operation on the Powell lines and 12 double ended cars in operation on the California Street line. The cable cars are occasionally replaced with new or restored cars, with the old cars being moved to storage for later restoration or to the train museum in Rio Vista. There are 2 cable cars in storage in the cable car museum / power house inside the garage, car numbers 19 and 42 which were used on the Clay Street and old O'Farrell and Jones Street lines, respectively. The car barn is located between Washington and Jackson Streets just uphill of where Mason Street crosses them. Cars reverse into the barn off Jackson Street and run out into Washington Street, coasting downhill for both moves. To ensure that single-ended cars leave facing in the correct direction, the car barn contains a fourth turntable. Cars are moved around the car barn with the assistance of a rubber-tired tractor. The driver of a cable car is known as the gripman or grip person. This is a highly skilled job, requiring the gripman to smoothly operate the grip lever to grip and release the cable, release the grip at certain points in order to coast the vehicle over crossing cables or places where the cable does not follow the tracks, and to anticipate well in advance possible collisions with other traffic that may not understand the limitations of a cable car. Being a gripman requires great upper body strength needed for the grip and brakes, as well as good hand-eye co-ordination and balance. Only a portion of the people who attempt the training course actually pass (about 30%). Besides the gripman, each cable car carries a conductor whose job is to collect fares, manage the boarding and exiting of passengers, and control the rear wheel brakes when descending hills. With the common practice of carrying standing passengers on the running boards of cable cars, passenger management is an important task. Some crew members are locally well-known personalities. a b c "Museums in Motion - 1984 - Rejuvenation". Market Street Railway. http://www.streetcar.org/mim/spotlight/yesterday/rejuvenation/index.html. "Audit: SF Cable Cars Lacking In Fare Enforcement". KTVU. http://www.ktvu.com/news/12520881/detail.html. "Powell Street Cable Car". http://www.cablecarmuseum.org/car-powell.html. Retrieved 2010-04-16. "California Street Cable Car". http://www.cablecarmuseum.org/car-california.html. Retrieved 2010-04-16. "Cable Car Fleet Roster". http://www.cablecarmuseum.org/car-roster.html. Retrieved 2010-04-16. "Anatomy of how cable cars operate". Cable Car Museum. http://www.cablecarmuseum.org/archive/Anat/Anat.html. "New Cable Car Grip Person Adds Name to History Books". San Francisco Municipal Transportation Agency. April 19, 2010. http://www.sfmta.com/cms/apress/NewCableCarGripPersonAddsNametoHistoryBooks.htm. * Robert Callwell and Walter Rice (2000). Of Cables and Grips: The Cable Cars of San Francisco. Friends of the Cable Car Museum. ISBN unknown.